Ever so often, I sit outside under the glaring sun beside my pillow (I want it to fluff up in the heat) and reflect upon the poor choices I have made in life. It always results in the decision that it’s about time for the next one, and this time I wanted something time consuming. I felt it was time for a long journey and it had to be one with a travel log, lest my questionable endeavours should go unnoticed. 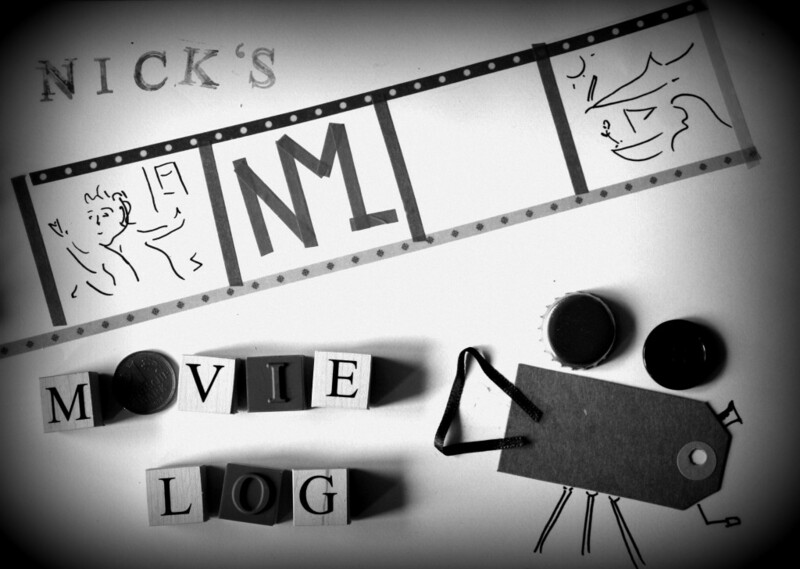 For those who are unfamiliar with it: the Internet Movie Database (IMDb) is a site where users can rate any movie they watch, which is then averaged into that movie’s score. On this site is a list of the best 250 movies according to those scores. I recently skimmed through it, realising that I have only seen about a quarter of all those films that are supposed to be the best ever made. That, of course, is unacceptable. I decided I had to watch the whole list, from bottom to top, and to talk about it here. As you might imagine, this is going to take more than one article and you can expect the odd spoiler here and there. #250: Swades – We, the people. Technically, IMDb is meant to be an international site, meaning that you could expect its entries to have a wide regional variety. In reality, the majority of the users generating the scores probably live in the western hemisphere and, consequently, the movies that I review will for the most part be United States productions. Having said that, the worst of the best 250 movies is an exception to the rule! Swades is an Indian story about Mohan, a NASA scientist played by Shah Rukh Khan (well, who else), who travels back to his home village for the first time in twelve years after the death of his parents, hoping to reestablish contact with his nanny. The lion’s share of the movie revolves around the countryside, whose scenery is fairly arcadian at times, though not as blindingly colourful as the typical Bollywood production. It fits with the overall tone, which is more sincere than I would have expected. In fact, Swades is packed with social criticism. Mohan quickly starts using his technical skills to try and alter his rediscovered home but soon faces opposition. Not only does he have to acknowledge the harsh realities of rural life in India that he had been safeguarded against while living in the USA, he is faced with deep-rooted caste discrimination, underage marriage, rejection of education and stagnation. After having realised that Swades was going to deal with these kinds of issues, there is one thing that I ended up disliking the whole way through the film: It’s too tame! In every situation Mohan just seems readily available to save the day with his NASA-induced superpowers, and yes, of course there is a woman and he does get her. But do they even kiss? No. Tame. #249: Papillon. The list’s first book adaptation already. Since I expect all of you to be exceptionally well-read I probably don’t need to summarise it. I will do it anyway. For myself. The main character Papillon, though innocent, is convicted of murder and shipped from France to its colonial penitentiary in French Guiana. 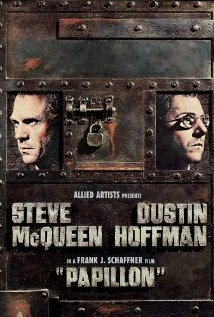 He becomes friends with his fellow inmate Dega (Dustin Hoffman) and together they plan a… series of escapes. Due to them not being particularly successful, Papillon is repeatedly sentenced to solitary confinement, where he isn’t allowed to make any sound for the duration of his prison time – first for two years and later for the duration of five years. It’s a flaw of films in general that they can’t adequately depict the influence such events have on the psyche of a character, but they did their best here to show how the imprisonment is slowly eating away at Papillon’s substance. Some critical voices demured at having a middle-aged Steve McQueen play the main character, who is supposed to be in his twenties in the book, but having an older actor take the part makes all the time that he has to just sit and wait without an opportunity to improve his lot appear a whole deal more painful and effective. By the end of the movie McQueen looks genuinely worn out and seems borderline retarded, but while his sanity could be drawn from him, his resolve to escape remains immutable. In case you wondered, Papillon is an autobiography, which means that in the end he does escape. A great movie, especially because it contains a valuable piece of worldly wisdom: Of all the shady characters Papillon gets involved with to escape, the one who most deviously betrays him is an abbess. #248: Tropa de Elite 2 – O Inimigo Agora É Outro. 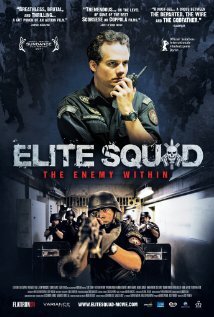 A film about police corruption in Rio de Janeiro. It’s brutally effective, both graphically and emotionally, and conveys one of those stories that makes you clench your teeth with anger. The main character of the first movie Nascimento, formerly just a police lieutenant, has been promoted to work with the Secretary of Security and finds himself in the middle of a drug-ridden and bloody political swamp. The film’s portrayal of injustice is outrageous and unfortunately very realistic. This statement appears during the intro and appears almost ironic: “Despite possible coincidences, this film is fictional.” Nascimento is effectively the alter ego of every Brazilian seeking a secure place to live and Brazilian audiences would have no trouble recognising many characters being based on the living political figures who are running their country. Tropa de Elite 2 has already beaten Avatar as the highest-grossing film of all time in Brazil, with more than 11 million viewers. Notwithstanding its success, it did not become Brazil’s 2009 contribution for the Oscars. Instead, a committee of government officials nominated “Lula o Filho do Brasil“, a biographical drama about Brazil’s former president Luis Inácio Lula da Silva. That is also a possible coincidence. 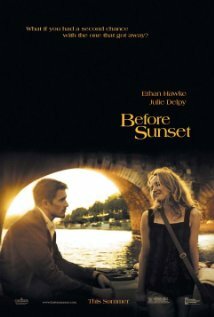 #247: Before Sunset. A romance flick that I enjoyed? The quality of this list is already battering my prejudices to pieces. Bloody hell. Years after they had an affectionate encounter in Vienna, Jesse and Celine by meet in Paris by chance for… yet another affectionate encounter! There’s nothing cheesy about anything that happens here. The plot is honest in that they are both inhibited by immense doubts about their feelings and social restrictions (Jesse is married), the dialogue is witty and the two work so well together that I wonder if the story might not quite simply be true. This kind of immersion is something that I always look for in movies, because becoming invested in someone else’s story usually means to stop thinking about yourself for a brief moment and makes feeling empathy for people’s situations a lot easier. I did deliberately go into these movies without prior knowledge so far, so I hadn’t done my research on this one properly. There is indeed another movie about Jesse and Celine and their time in Vienna all those years ago which is, admittedly, better than the second installment, and there is also a sequel from 2013. Their order is Sunrise – Sunset – Midnight. I won’t go into great detail about it here, as Sunrise will appear further up in the list. #246: The Killing. 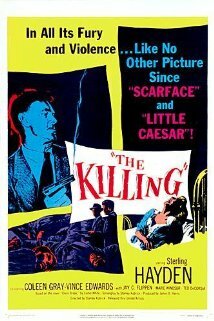 The first movie by Stanley Kubrick in the list! There will be others, and none of them will resemble each other even remotely. In The Killing, a group of men try to rob a horse-racing track. It’s a movie that given today’s standards is inappropriately labelled 18+, and even though it’s supposed to be a film-noir, it feels a bit like I’m watching a documentary. Definitely not going to become my favourite Kubrick movie. In the middle of writing the first couple of entries for this article I realised there was going to be a problem. These Top 250 are not set in stone, the list is always expanded by new releases and the placement of established films is constantly shuffled around, especially at the bottom half of the list. The first few films I’ve seen have by now been pushed off the list entirely. I could theoretically update the ratings in every log, but telling you which movie has just entered at #250 when we’re already dealing with numbers below 200 is not going to be very interesting. Instead, I will just work my way through the list in blocks of five films per log and have this Extra category at the end whenever it is necessary. The Extra entries might be movies that once were in the Top 250 but then dropped out, movies that I had to skip for recent logs because their ratings changed too fast, while others might be relevant for certain reasons or simply because I decided that they needed to be included. In short, everything that didn’t fit in originally will appear here. 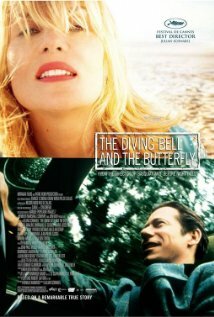 DROPOUT: Le scaphandre et le papillon – The Diving Bell and the Butterfly. Either this is some kind of obscure conspiracy or some of the voters must really like butterflies. Anyhow, the first of the IMDb dropouts is a fine example of the evils of synchronisation. Mathieu Amalric plays Jean-Dominique Bauby, a man suffering from locked-in syndrome who can control nothing but his left eye after a severe stroke. How can we partake in his acting prowess? We can’t, because everything he says in voice-over is dubbed and there is little else he could do besides talking and staring into the camera while drooling over his sheets. You can still share his misery just by watching, though if your knowledge of French allows it, it would be better not to render 99% of his performance useless. Just like the brilliant The Intouchables with Francois Cluzet and Omar Sy, which we won’t see for a while because it’s way further up in the list, this film is based on an autobiography. I’m going to say this again: an autobiography. Being almost completely unable to move, it had to be written by someone who was reading out the alphabet to Bauby, with him blinking to choose each individual letter. Writing those 144 pages took them ten months, which translates into approximately 200,000 blinks. Two days after the book’s publication in France in 1997, Bauby died. This looks like a really, really big project 🙂 Looking forward to the next installments!